There are 18 miles of trails in the area. 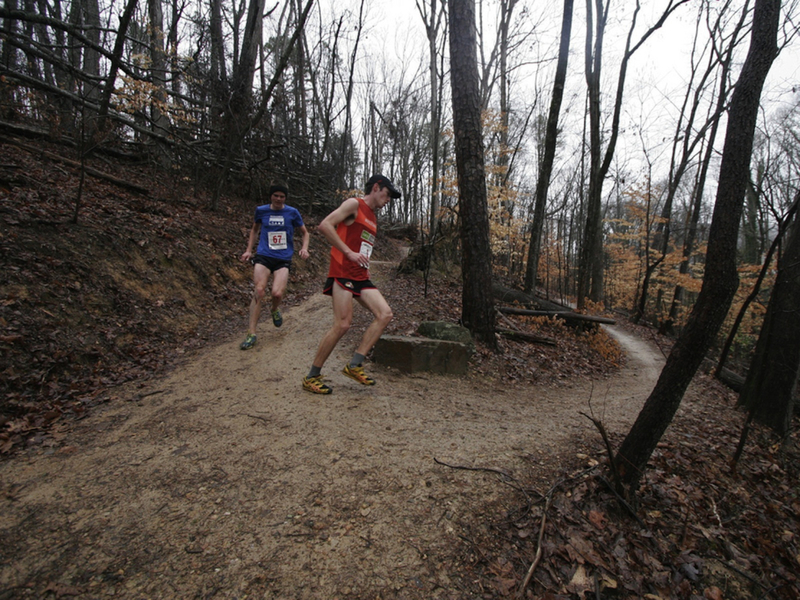 The Biology/White Oak Mountain Trails, which consist of 18 miles of trails, are located on the west end of Southern Adventist University's campus, directly behind the Outdoor Education Center and high ropes course. Merely 5 minutes down the road from the popular Enterprise South Nature Park, WOM sees merely a fraction of the traffic that ESNP does, despite a more diverse range of trails to choose from. As an added bonus, they're also open until 10 PM each day, making this one of the best places to ride in winter when sunset comes early. There are several trailheads with the one off University Drive at the intersection of Morningside Drive being the main entrance. This is a stacked loop system, with the easiest trails closest to the parking lot and the hardest trails further away. You could easily go out for 15 minutes or a couple hours, depending on your needs or preferences. The climbs are fairly steep compared to Enterprise South, and the terrain ranges from pebbly to rocky. Expect lots of roots and poor traction on most trails. The technicality of the trail ranges from easy to extremely difficult. The trail system drains VERY well, and all but the flattest sections can be ridden directly after a rain. The top of the ridge is the rockiest, most technical section, but it also offers incredible views into the Ooltewah valley. This trail system is very family friendly, and gets quite busy on weekends, so the best time to bike here is early morning to mid-day during the week. There are no restrictions on bringing pets, although if you plan to let them off the leash, they ought to be well-trained and good around other trail users (humans and animals alike). WOM has something for everybody, and it's great for night riding, as you can ride there until 10pm year-round, making it THE place to go after work. None of the other Chattanooga mountain biking destinations are legal to ride after dark, so the local bike shops often host weekly rides here throughout the winter. There are three trailheads, but we recommend parking at the trailhead on Morningside Drive, off University Drive. The trail system itself is complex, but the trails are very well marked. Just follow colored diamond blazes nailed to trees. You'll also find maps at most major intersections -- a nice feature, and unique in this area -- as well as at the main kiosk. All trails can be ridden in either direction, but there are limited sight lines, so ride in control to ensure safety and call out when signs prompt it around blind corners. Helmets are required. No horses are allowed on trails. Water is available at the Outdoor Education Center.